Yes, that’s the sound you’ll hear often this time of year as we crank out these little pieces of heaven fresh daily. In our All Things Pumpkin Collection, our signature spice flavor can be tasted in every bite. And while our signature flavor has been a closely guarded secret for years and it doesn’t stop with just Pumpkin Donuts. Our Pumpkin Donuts started as a humble flavor back in 1996. Today, people line up around the bakery to get them, making these donuts our top selling product! For that, we thank you all. Just as their name implies, Pumpkin Muffins breakfast treats are just what you need to get you outta bed on cool Fall mornings. Serve them warm out of your oven with a dab of cinnamon butter and let the aroma fill your home. If you think our Banana Nut Bread is good, just wait ’til you try a slice of our Pumpkin Loaf bread. Pumpkin and spice with a dash of cinnamon on the top. Serve it for Breakfast, then nibble on it for Lunch… then have a bit more for Dinner. There may be a little left for Dessert…. Of course, no Holiday season would be complete without a PUMPKIN Pie from CINOTTI’S. We’ve been making Pumpkin pies to sell in our bakery since 1955. The pie you get from us today is crafted from the same machines and with the same, HAND-MADE skills as we did back then. While we offer a wide selection of products to serve you and your family throughout the year, our All things Pumpkin selections are only here for a limited time. Our skilled bakers take pride in their ‘old fashioned’ style in crafted beautiful works of art from flour and sugar. 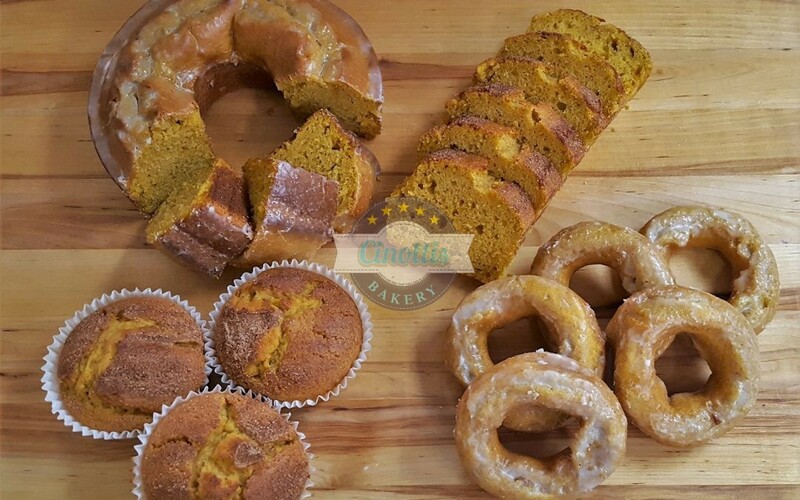 However, our pumpkin donuts, harvest rings, pumpkin loaves, and pumpkin pies will not be available after December 23. 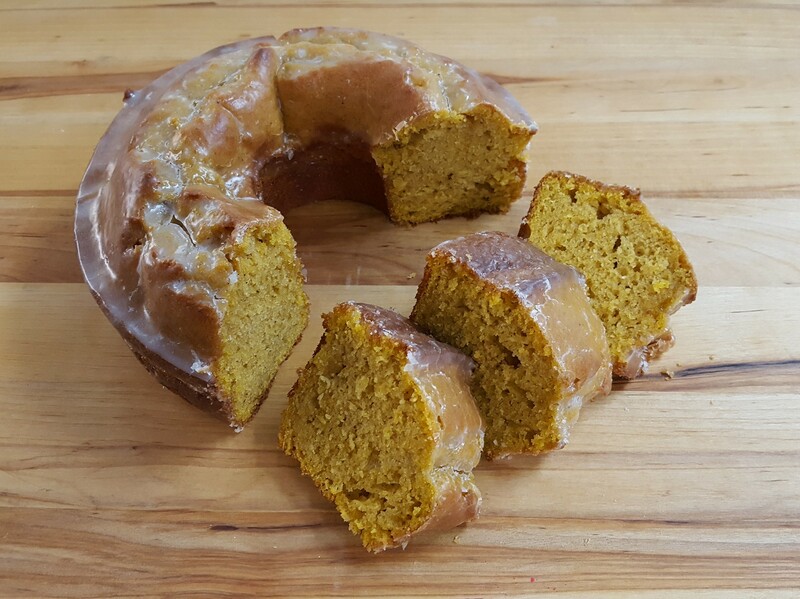 If you’ve never had a PUMPKIN DONUT, or anything PUMPKIN, we invite you to come in. Once you’ve tried one of these little bites crammed with flavor, you’ll be falling in for more.